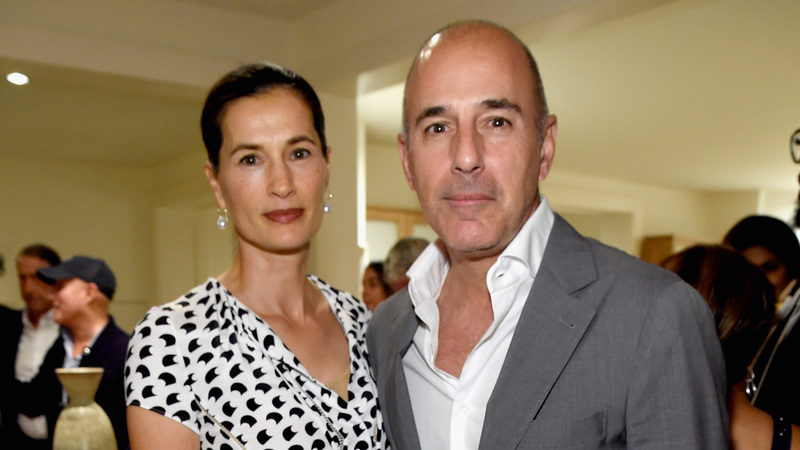 One year after being fired from NBC for alleged sexual misconduct and all but disappearing from the public eye, Matt Lauer and his estranged wife, Annette Roque, are reportedly still ironing out the details of their costly divorce. In the interim, they’re still living on the same property in the Hamptons, albeit in different structures, and they reportedly still spend time with their children together. In August, People reported Lauer could end up paying Roque up to $20 million in their divorce settlement. However, they have agreed to retain joint custody of their three children, Jack, 17, Romy, 14, and Thijs, 11. After Lauer was fired from NBC in November 2017 following multiple accusations of sexual misconduct, Roque reportedly kicked him out of the house. In May, news of their impending divorce made headlines after weeks of rumors. Also in May, NBC released a report about their investigation into Lauer’s alleged behavior, which read in part that Lauer “admitted to engaging in sexual activity” with the anonymous woman whose allegations prompted his firing. However, in an April statement to People, he vehemently denied any “coercive, aggressive or abusive actions on my part” and said he was speaking up after five months of silence in order to defend his family. Although it took some time for Roque and Lauer to officially announce their divorce after his firing, the soon-to-be-exes have been through similar issues in the past. Roque filed for divorce from Lauer in 2006, per Vanity Fair, citing “mental abuse, extreme mental and emotional distress, humiliation, torment, and anxiety” as reasons she wanted out of their marriage. She reportedly withdrew her divorce petition some weeks later. This time, it would seem, she has no intention of working things out.